Earl Gurnsey was born on July 22, 1948, in Bremerhaven, Germany, and later immigrated to the United States. He enlisted in the U.S. Army on March 10, 1966, and completed basic training at Fort Ord, California, in May 1966. Pvt Gurnsey next completed Wireman School at Fort Ord in June 1966, Lineman School at Fort Gordon, Georgia, in August 1966, and Basic Airborne training at Fort Benning, Georgia, in September 1966. 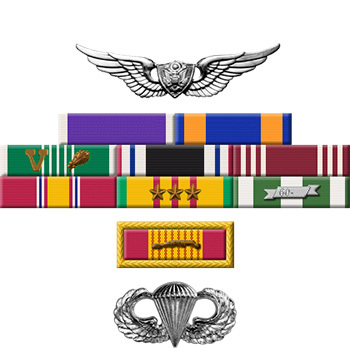 His first assignment was as a wireman with Company A of the 501st Signal Battalion at Fort Campbell, Kentucky, from September 1966 to April 1967, followed by service as a radio mechanic and field wireman with Headquarters Company, 1st Battalion, 503rd Infantry Regiment of the 173rd Airborne Brigade in South Vietnam from June 1967 to August 1968. 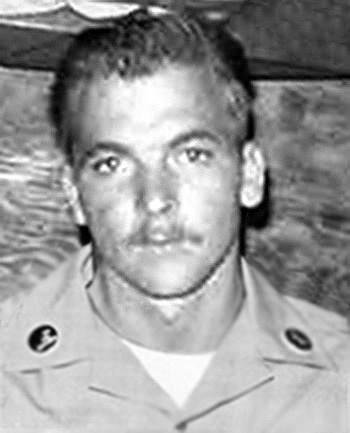 SP4 Gurnsey then volunteered for a 2nd tour of duty in Vietnam, and served as a UH-1 Iroquois helicopter door gunner with the 118th Assault Helicopter Company in South Vietnam from August 1968 until he was captured and taken as a Prisoner of War in Cambodia on November 27, 1968. After spending 41 days in captivity he was released by his captors on January 6, 1969. SP4 Gurnsey was medically evacuated back to the United States, and was hospitalized at Letterman General Hospital in San Francisco, California, from January 1969 until he was medically retired from the Army on August 13, 1969. Earl Gurnsey died on May 29, 1982, and was buried at the Georgetown Pioneer Cemetery in Georgetown, California.